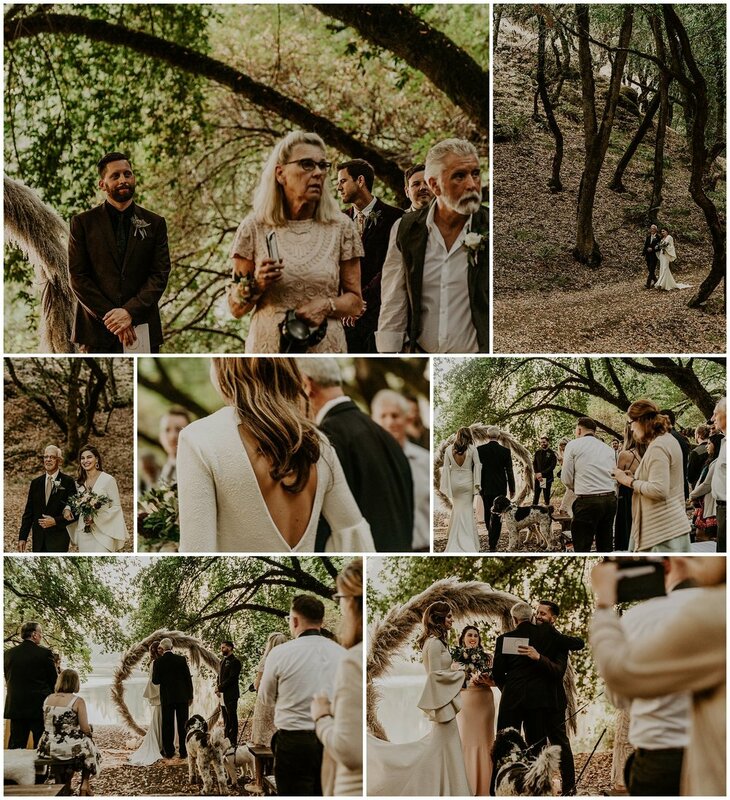 I think it’s fairly safe to say that Ashley + Justin’s Summer Camp, But Make It Fashion theme at Leonard Lake Reserve in Redwood Valley, California is one of the most trendsetting wedding days I’ve seen. The entire day was good vibes and beautiful moments. Leonard Lake Reserve is a unique venue hidden away in the Redwoods of Northern California not too far from San Francisco. This venue is such a gem! It’s like a summer camp all too yourself, your guests can stay and play in the lake making for a really inclusive, fun atmosphere. 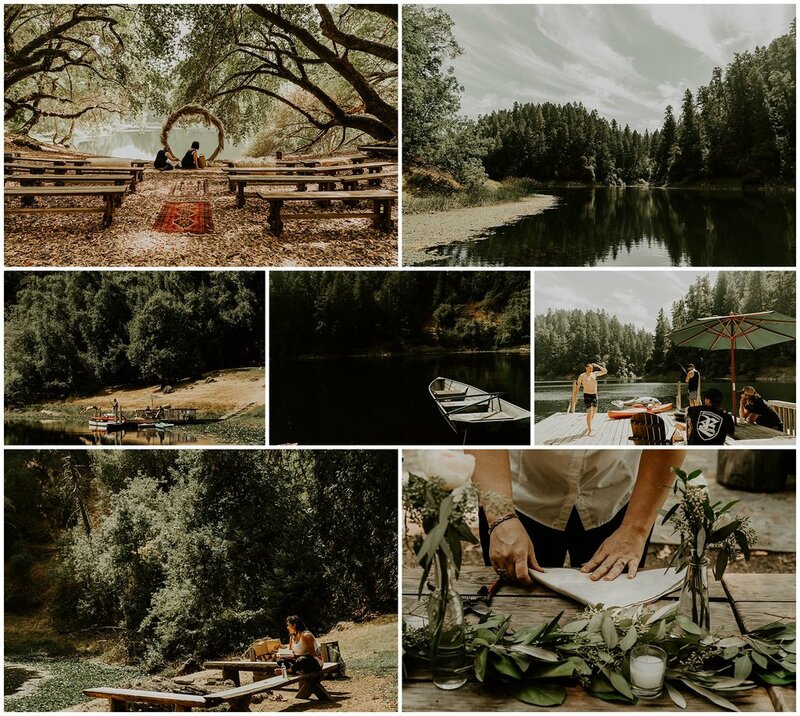 Not only does Leonard Lake Reserve boast the funky camp vibes that’ll make your wedding weekend a refreshing little retreat, but it also has plenty of space to get everyone ready for the day. And the vintage feel of the decor is beyond perfect for a 60s inspired color palette! 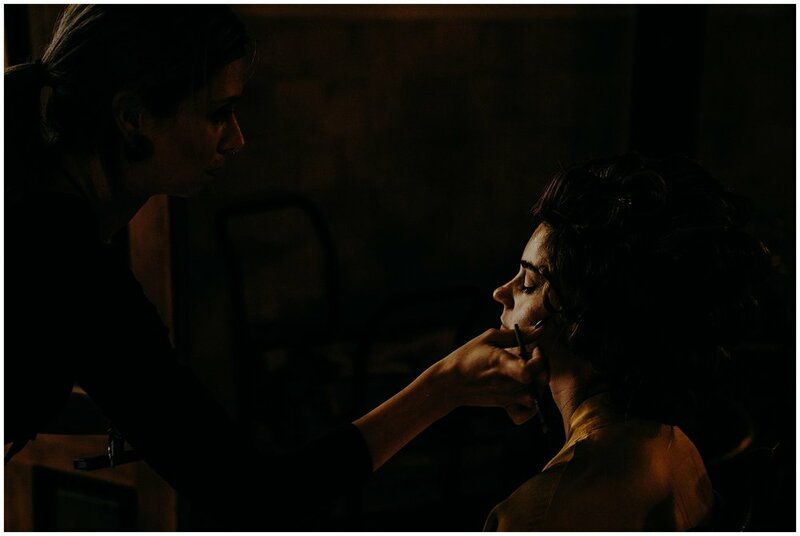 I love how moody the rooms are, making light so much fun to play with. This geometric window was also a spot we just had to play with. This venue is literally one of the most diverse settings! These two chose to have their ceremony beneath the trees with the lake in the distance. 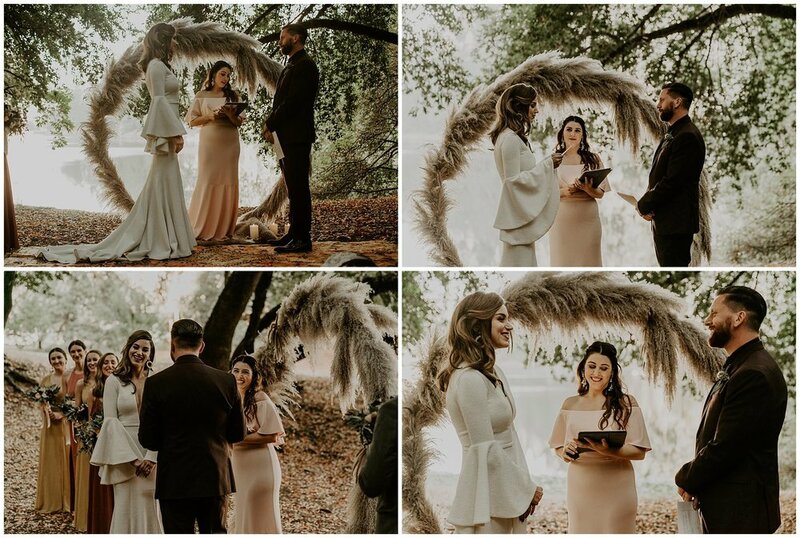 Justin’s mom created this beautiful moon gate from pampas grass, it was such a killer backdrop for the moments shared during their ceremony. After the ceremony, we wanted to do a little adventuring so we headed down to the dock and enjoyed a little time on the lake before heading up to the hillside for an epic sunset. The couple chose touches of vintage brass and moody colors to dress the picnic tables for dinner. Can we just agree that this reception is goals?! 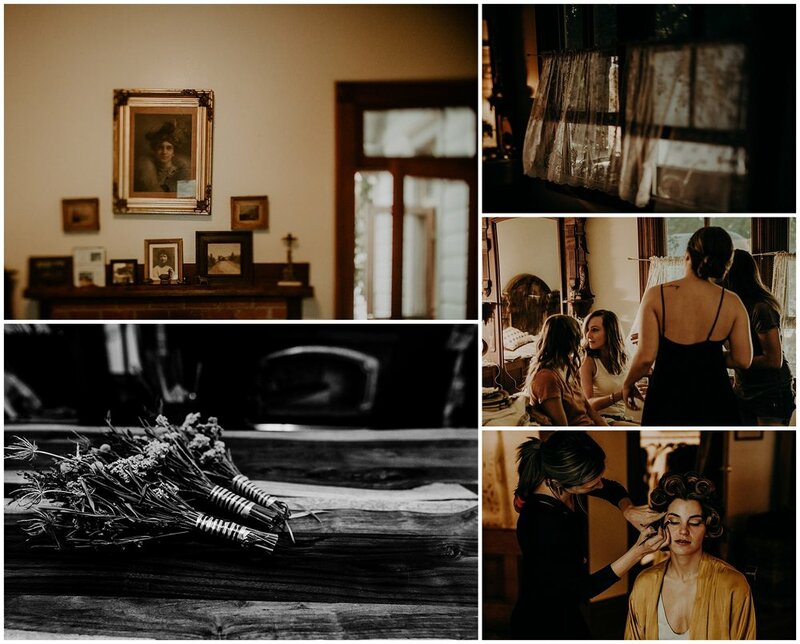 This wedding was featured on Junebug Weddings! 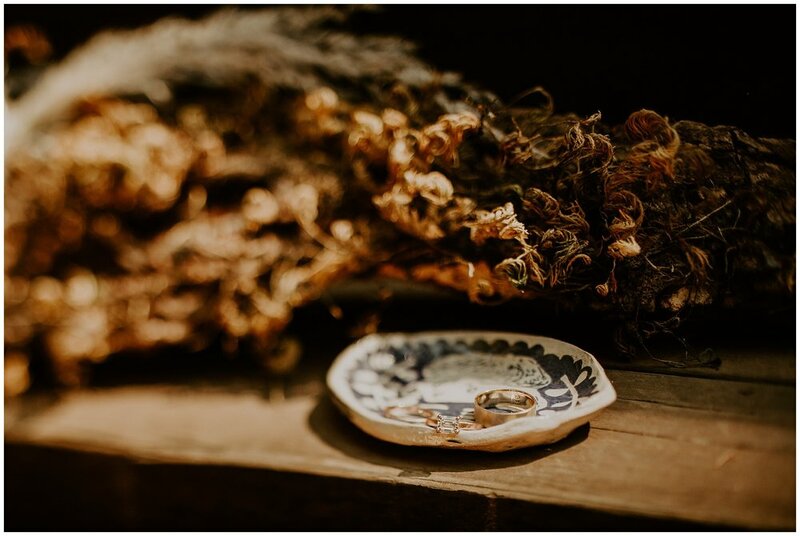 A romantic destination wedding in Sayulita Nayarit, Mexico. I was soooo tempted to title this blog Mountains & Beaches & Babes, oh my ;) because I’m not sure there’s a better descriptor than that. This Oahu engagement photo location has it all because it’s where those towering green ridges meet the Pacific to create dramatic landscapes unique to the islands. For those who just want to kick back casual and have some fun on the beach, the bay is perfect. If you’re adventurous, you can hit the bay and then hike the mountains for one of the most epic sunsets you’ll see in your life. It’s a win/win for sure! Assuming that the sun decides to show up, though, because sometimes it just doesn’t. Instead, you get pretty moody clouds over the ridge line which I am also totally okay with because wow. This was a trip that Taylor + Brandon saved up for and she said the whole thing “felt like a dream come true.” I really love that about Hawaii, it so has a tendency to help couples feel like they really are in paradise. Sounds SUPER cheesy, I know, but it’s true. It’s like connection is in the atmosphere here. Maybe it’s all the aloha vibes. These two actually got engaged over on Maui. Yep. Brandon planned a Maui proposal for his high school sweetheart. How could it be any freaking cuter? The funny thing is, he told me that she was almost late to her own proposal and I knew right then that Taylor and I would get along. I’m literally ALWAYS running behind. Unless it’s a shoot or a wedding, anything work related, I’m good. But when it comes to meeting friends for something or getting out to dinner with my hubs, you can bet I’ll be delayed somehow hahaha. It’s just one of those things. I heard that people who are always late are smarter, so there’s that. Taylor reached out to me after the surprise proposal because she knew she wanted to capture this time in their lives right here in Hawaii. She’s always loved photos that are candid + real, totally unposed, so I knew we’d be a good fit. When we got to just enjoy the scenery + create some memories together, it was the best. That golden Hawaii glow sure looks good on these two. We had the best time playing on the beach right until the last drop of sunlight. If you connect with what you see, don’t hesitate to reach out to me! Whether you’re planning a surprise proposal in Hawaii, looking to have engagement photos taken, or just traveling here with a dream of adventuring together as a couple, I’d be happy to chat with you about working together.